Lymm Dam is an area of great beauty and tranquility. Its woodlands and meadows are teeming with wildlife and the history gives it a unique character. Take an evening stroll with some like-minded people on a relaxing evening walk. We will also stop for an evening meal and a drink to refuel. Lymm Dam is an area of great beauty and tranquility. Its woodlands and meadows are teeming with wildlife and the site’s history gives it a unique character. 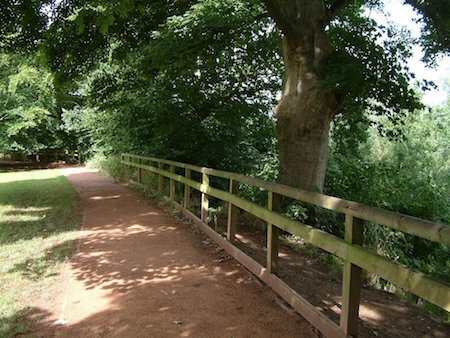 Whether you enjoy horse riding, angling, bird watching, walking or just relaxing in beautiful surroundings, Lymm Dam makes a great place for evening walk. Much of the lake is surrounded by woodland with oak and beech the predominant species. Autumn brings a kaleidoscope of colours as the leaves take on their seasonal hue. In spring, bluebells, wild daffodils and snowdrops carpet the oak woodland amongst pockets of flowers such as wood sorrel and wood anemone. Other wildflowers easily spotted at the dam include foxglove and tormentil on banks, meadow cranesbill and yarrow in meadows, red campion and garlic mustard in woodland and marsh marigold and bittercress on the water’s edge.